We understand how hard it can be to find the right personal financial advisor. Our goal is to provide the most comprehensive financial planning for our clients. We have been providing our clients with unbiased and independent investment, tax, estate, and retirement planning advice. We are not tied to any company, but are free to select from a wide variety of products and investments. Therefore, our interests are the same as our clients. Provide you with a comprehensive financial plan. Communicate with you regularly to closely monitor progress. Always conduct business with integrity, diligence, full candor and imagination. Educate you on your financial products and investments. Our services include preparing and implementing comprehensive personal financial plans, estate planning, and tax planning and preparation. 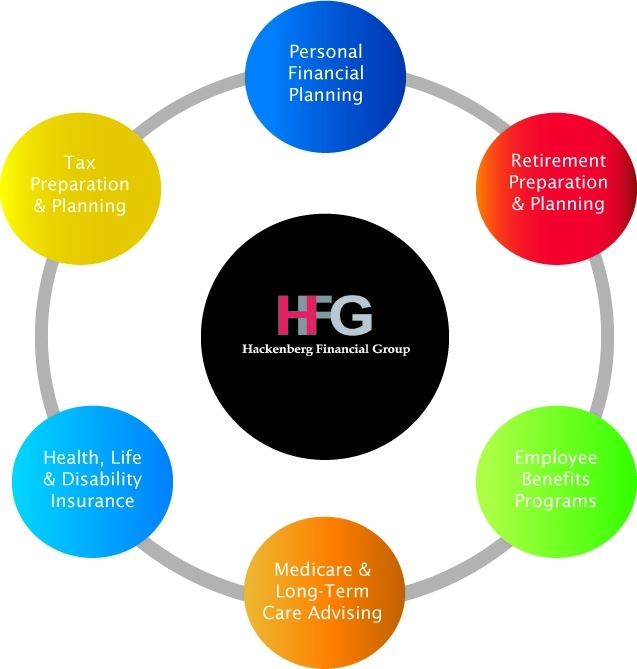 Let Hackenberg Financial Group help manage your financial future.